Font Finder helps you to select a font. As your font collection grows, it becomes harder and harder to find the one you want. The problem gets worse when you have fonts for different languages, because there’s generally no way to know which languages are supported by which fonts. 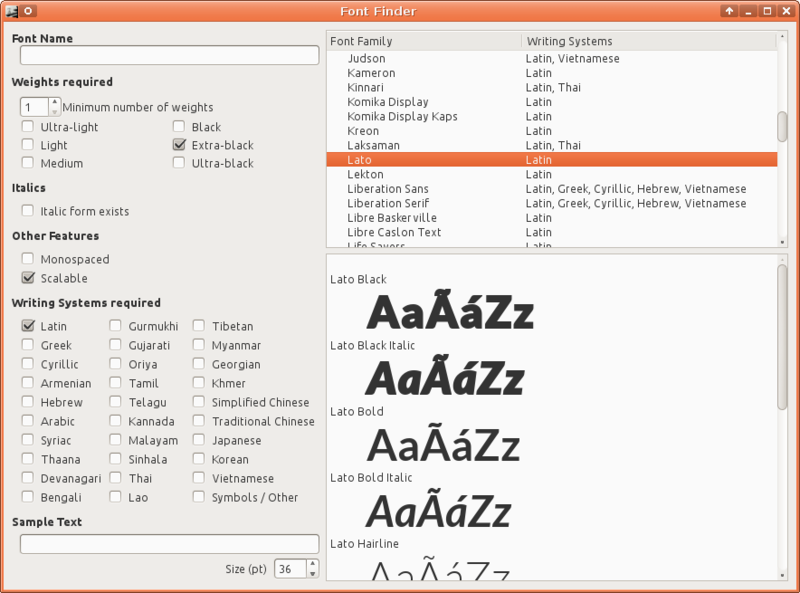 Font Finder helps with this by filtering your installed fonts. Font Finder 0.1 — the first release, it’s already pretty good.